Yes, by now you know that way back in 1976 I was part of The Settlers, the hit UK folk band which originated in the English Midlands in the 60s. 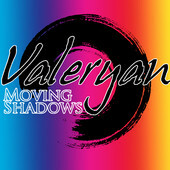 While writing this blog, to save unnecessary confusion with computer games and other bands of the same name I’ve called the band Valeryan’s Settlers. While I was part of the line up in the mid 70s we recorded a single for the Riverdale label – on vinyl – Whichaway Billy/Hobbit Land … produced by “Al Famous” … a pseudonym for Pete Goodall, who was not only the producer of the single, but also co-writer of Whichaway Billy – to be fair a song of the times. Since a complete chance meeting up with Peter back in 2011 he’s once again my recording producer but now is also my music partner – Thunderclap. 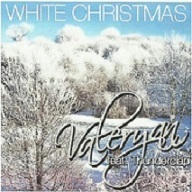 While recording my album White Christmas – released in early October 2013 , I revisited the close harmony format I had been part of during those halcyon days while I was part of The Settlers…. and as a result Pete and I decided it was perhaps time to re-master some of the best know Settlers’ tracks for re-release. 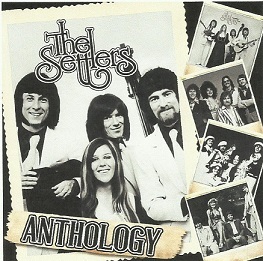 The result is the album The Settlers Anthology – In Perfect Harmony which as well as including Whichaway Billy and Hobbit Land, features some of the band’s better known tracks recorded by two of my predecessors, Cindy Kent and Andie Sheridan – mostly these are songs I also performed on stage while part of the band. The Settlers Anthology – In Perfect Harmony has already met with some well deserved lovely reviews, (see Amazon) and this has led me to believe that I have somehow helped re-establish the band to where they should be – once again available to a public who loved them long ago – without the distractions of scratchy vinyl copies chanced upon in a charity shop……. I’d like to believe that I’ve not only helped make these tracks available again, but have also carried a little of the music I was part of back in the 70’s into the 21st century in my own solo albums Rolling Road, White Christmas and Reflections ….. before, during and after The Settlers…… Reflections has now been released (30th March 2014), and like White Christmas, which went live in October 2013, just a few days after The Settlers Anthology, has many tracks where I’ve used three part “Settlers harmony” ……. At present there are 13 re-mastered Settlers tracks available on I-TUNES and Amazon as an MP3 and we’re hoping to have more re-mastered in 2014.